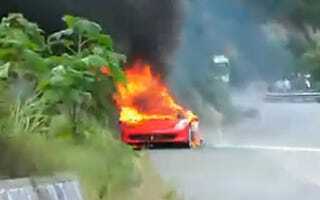 The Ferrari 458 Italia's on fire. Literally. It's burned in Paris, in London, in the U.S., and now in China. It's an intercontinental Ferrari Car-B-Que!